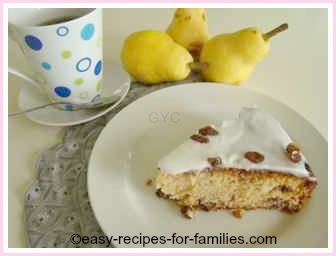 To go to the full recipe with the proportions, click on the image. 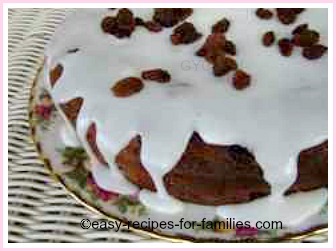 Making this sultana cake is incredibly easy and if you are new to cooking these photos will show you each step of making this simple and so delicious cake. 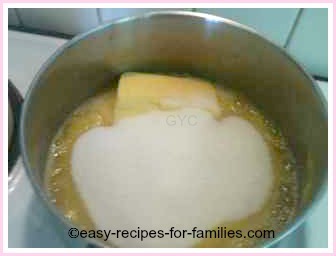 Firstly, melt the butter in a roomy saucepan. Notice I use a sauce pan and not a mixing bowl so that you can put the pan on the fire and not ruin it. Add the sugar and maple syrup to the melted butter and stir till the mixture becomes a thick consistency. You'll see it go from an oily mixture to a thick creamy texture. 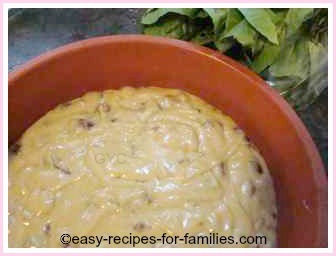 Toss in all the remaining ingredients into the pot and stir to combine. That's right. Don't be precious about the cake. Just toss it all in. See the consistency of the batter? It's a firm but soft texture. Decant it into a silicone baking mold. I use flexible silicone bakeware as it saves so much time. If you're using traditional metal pans, be sure to line and grease your baking tins. Bake in a preheated oven for 40 minutes till the cake tester comes out clean. If there's bits of batter sticking to the skewer of the cake tester, it means it is uncooked, so put it back in the oven for a few more minutes. 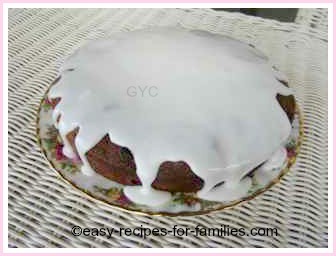 Here is the cake beautifully baked. Wait for it to cool completely before applying icing. See the icing/confectioners sugar in the measuring jug? 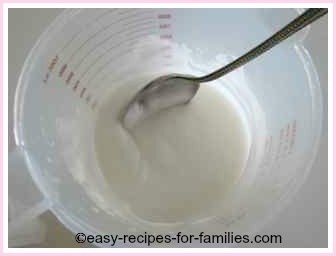 All you do is add water to it and mix it quickly and evenly. I don't even bother sifting the sugar so long as it has not clumped together from long storage. Just pour it out of its packaging and add water, as instructed on the recipe. 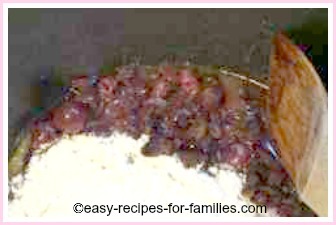 Remember to go to the proportions for the recipe just click on the top image and that'll take you to the page with the full recipe. This is what the icing mixture looks like. All it is, is fine confectioner's sugar mixed with water. See how it is quite firm. Be sure not to add too much water as then it will become too runny. Spoon the mixture over the cooled cake. Scatter a few sultanas over the top if you choose. Here it is, served with hot tea! 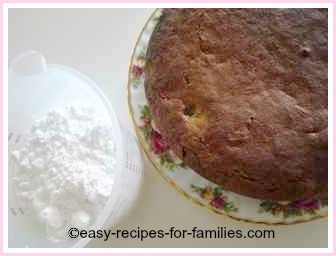 Leave Easy Cake Recipe Sultana Cake to discover hundreds of delicious easy recipes with photo tutorials!